I desperately want to make a Monty Python joke here, but it’s already been done so many times that I would just feel like a hack. Firstly, let me say that Inquisition is probably the single biggest and most content-packed single-player game I’ve ever played. Half the MMOs I’ve tried don’t feel this vast or overwhelming. As of this writing, I have spent more time playing Inquisition than Mass Effect 3, despite the fact that I played through Inquisition once and I’ve finished ME3 three separate times. And ME3 was a pretty big game. That sheer scale makes this a difficult game to review because there’s just so much to talk about, but I’ll try and put this all down in something resembling a coherent order. 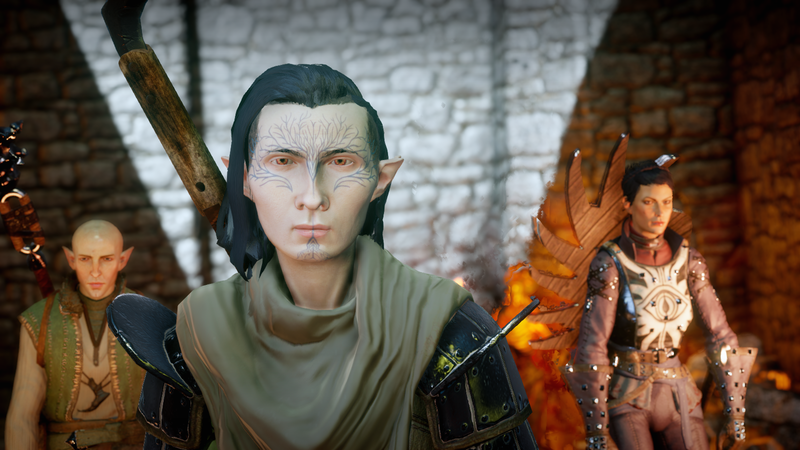 Out of the gate, I felt that Inquisition was a huge improvement over previous Dragon Age games. I’ve often said that Bioware makes awesome choose your own adventure novels, but no one ever told them they’re a game developer. Inquisition is the first game of theirs I’ve played that’s actually, well, a game. Firstly, auto-attack is gone, and thank God for that. Auto-attack has no place in a single-player game — it’s questionable whether even MMOs should have it at this point. The only virtue it ever had was compensating for slow Internet connections back before high-speed Internet was common place. So for the first time in the franchise, combat is something the player actively engages in rather than a glorified QuickTime event where you just watch the game play itself. That is a very, very good thing. There are some other subtle changes to combat, as well. Boss fights feel a bit more complex, with varied and interesting mechanics. Dragon fights, in particular, are epic and thrilling struggles — it’s just a shame the game didn’t include more encounters like that. Oh, and you can throw jars of bees at people. Also, the tiny and ultra-linear maps we’re familiar with from previous Mass Effect and Dragon Age games are gone, replaced with vast and largely non-linear zones and sprawling dungeons. Initially, I enjoyed this a lot. It’s great to be able to just ride off in any direction and find something to do, and the zones are absolutely overflowing with quests, lore, and goodies. It’s overwhelming at times. 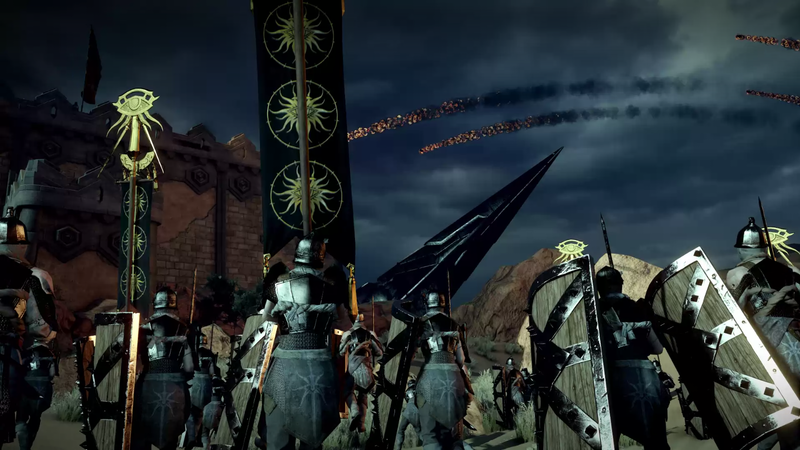 Playing Inquisition reminded me of nothing so much as a single-player version of Guild Wars 2. There’s the same sense of exploration, the same ability to go in any direction and find some activity almost immediately. I found this very liberating. And you can jump now. As a proud jump-spammer, I welcomed this. But you may have noticed I’m using the past tense a lot. Unfortunately, while Inquisition feels like an MMO in many positive ways, it also becomes clear after a while that it has inherited the bad habits of its multiplayer cousins, as well. Specifically, a preference for breadth over depth, quantity over quality, and busywork over memorable experiences. As with ME2 and Origins, this is Sidequest: The Game. * The main and character storylines — the whole reason anyone in their right mind plays a Bioware game — became something of an afterthought compared with picking flowers, sightseeing, collecting shards, putting together mosaics, and other random tasks. A shocking number of quests are just bland kill and collect tasks with nothing but a short text intro, such as you would see in your average WoW clone MMO — which is even more surprising coming from a company whose MMO sold itself on its lack of text-based questing. The same endless potential for exploration that initially delighted me eventually began to feel more like a burden. There is very little variation other than cosmetic differences between the many zones, and they all start to feel the same after a while. There are a few exceptions — such as the Fallow Mire, a thoroughly enjoyable zone featuring several unique mechanics such as undead rising to attack you if you ever touch a body of water — but mostly it just felt like repeating the same tasks endlessly. Infinite exploration is only a good thing if you can consistently provide the player with new and interesting things to discover. Otherwise, each new zone ceases to be an exciting new frontier and instead becomes a checklist of chores to complete. This still isn’t as bad as it could have been. The gameplay improvements kept things at least somewhat interesting — I don’t think I could have even finished the game if it was still using the mechanics from Origins. But certainly this is a game that was longer than it needed to be. I’m of the opinion most games these days are too short, but padding things out with mountains of busywork isn’t an improvement. The character and story elements — the real meat of the game — also seemed to take a step backwards in Inquisition. 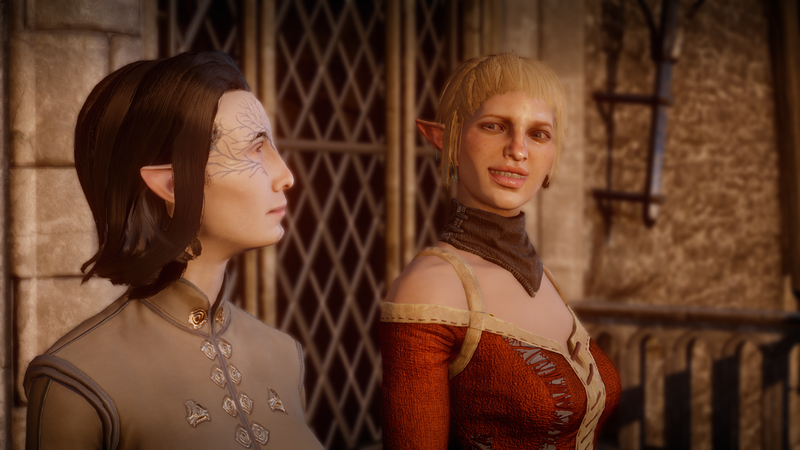 The ability to tell when a character has new dialogue options — one of the best innovations of Dragon Age 2 — is gone, bringing back the need to visit every single one and check for yourself. The character development is also surprisingly weak for a Bioware game. There is much less character-specific content than I’ve grown used to, and many characters feel sadly underdeveloped. Iron Bull, especially, is a huge case of wasted potential — no pun intended. The writing seems a bit dodgy in places, as well. Sera’s inconsistency I can accept because I think that’s sort of the point of Sera, but I don’t think Cassandra was supposed to be bipolar, yet that’s how she came across. Half the time she hates my guts, and the other half the time she thinks I’m the most awesomest person ever, and there’s no apparent rhyme or reason for the shifts. The shame is that a lot of the characters are very interesting. I wanted to learn more about them, but I just didn’t get the chance. On the plus side, this does show that the characters were mostly of a high quality. 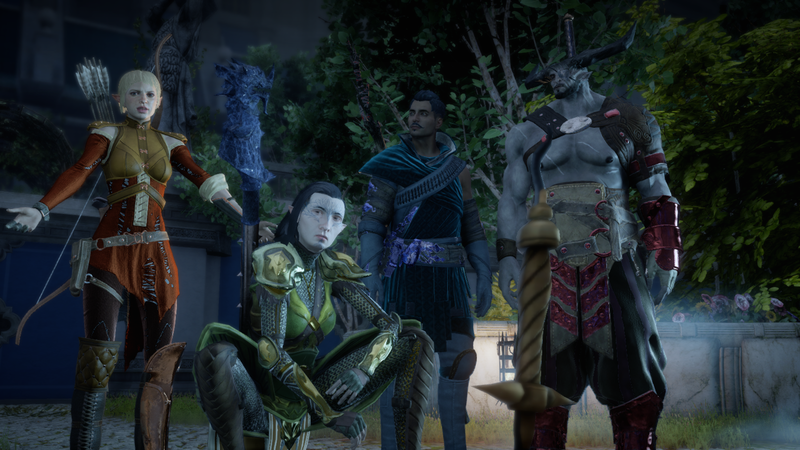 Dorian, Solas, and Sera were my favourites — each of them thoroughly awesome in a different way — but Iron Bull, Blackwall, Varric, and Cole were also quite enjoyable. There are even some weighty contributions from characters from the past games — including some that totally surprised me — and those were very cool, if a bit bizarre in some cases. Meeting your in-game son — except he’s not your son because you’re playing a different character this game — is weird as all Hell. 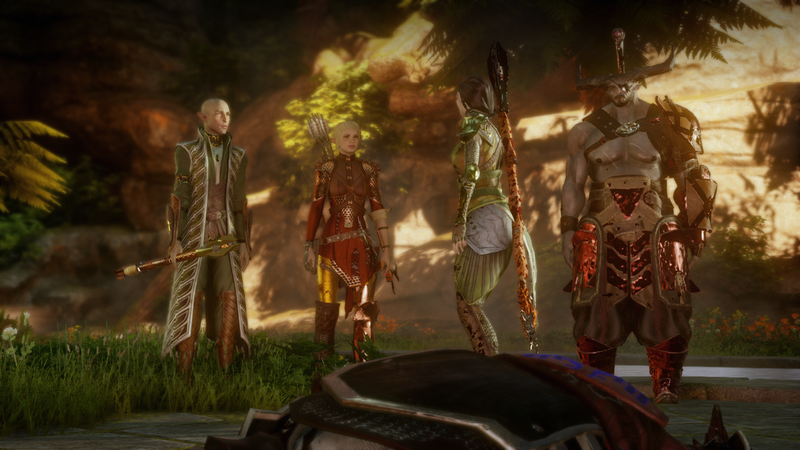 I do regret we didn’t get to see Anders, Merrill, or Fenris again, though. 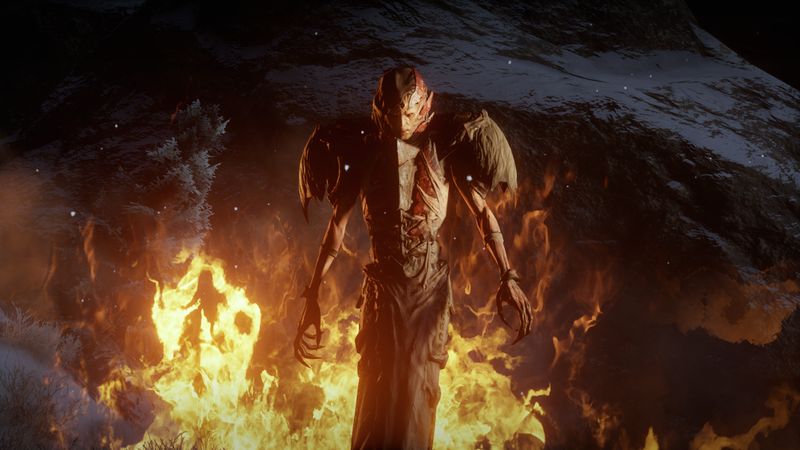 The villain is probably the coolest and scariest antagonist Bioware has yet produced, but his role in the game is infinitesimally small, and it’s another case of what feels like wasted potential. On the plus side, while I didn’t feel quite as free to do as I choose as I did in DA2, I was able to have a lot of control over the direction of the world, and I was mostly able to achieve the goals I set myself at the outset. Life in Thedas is now much better for mages and Elves and much worse for Templars and Chantry traditionalists. That’s a good feeling. 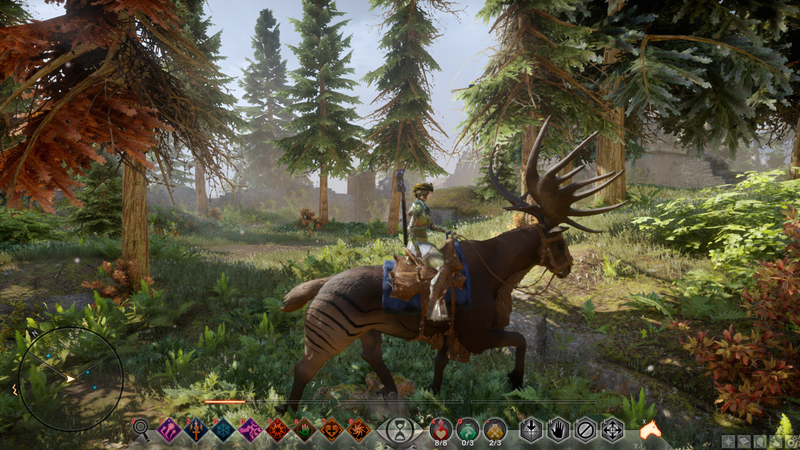 On the aesthetic front… Well, I feel like I should be heaping praise on Inquisition’s stunning, ultra-realistic graphics, but despite their obvious beauty and technical splendour, I found myself vaguely underwhelmed by the game’s visuals. They made things so realistic that the graphics lost any semblance of style or personality, and Inquisition suffers from the same problem as Origins: Every single environment looks like it could have come from any high fantasy setting anywhere ever. By comparison, Kirkwall was a setting that exuded a very distinctive history and personality. On the other hand, the music is fantastic. I’m almost tempted to upgrade to the deluxe edition just to get the soundtrack. Most of the bugs weren’t this hilarious. One other thing needs to be mentioned before I wrap up this review, and that is that Inquisition is a surprisingly buggy, unstable, and unpolished game, especially for such a big budget title. Bugs are extremely common and run the gamut from the minor and hilarious to the catastrophic. The game crashes frequently, and there are all kinds of minor hiccups and irritants. There was a mystery quest marked on the mini-map but never found. Sometimes the landscape randomly turned neon green. The list goes on. Even when it wasn’t bugging out, the game often ran sluggishly or with an excess of lag, despite my having a very powerful computer and not even running it at the highest settings. 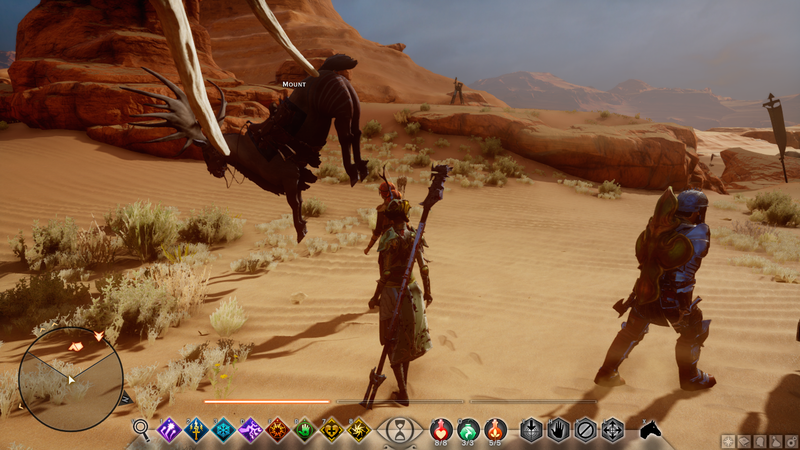 That’s really not acceptable, especially for such a prestigious brand as Dragon Age. On the whole, I did enjoy my time with Inquisition, but after over a hundred hours and nearly a month, I’m kind of glad it’s over, and as much as I would love to experience the game as a different class and/or while making different choices, I’m not sure I’ll ever have the patience to play it again. Overall rating: 7.3/10 As with all previous Dragon Age titles, Inquisition could have been an amazing game but fell just a little short of the mark, and despite some major improvements, I didn’t find it as satisfying as Dragon Age II. 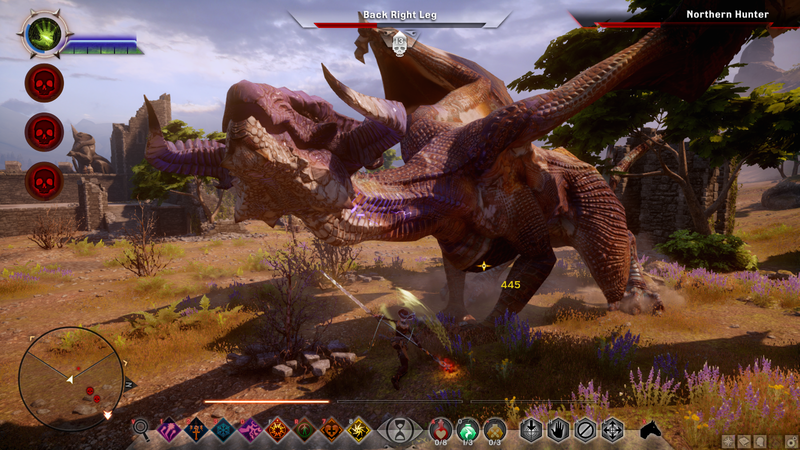 This entry was posted in Games, Reviews and tagged Dragon Age, fantasy, review by Tyler F.M. Edwards. Bookmark the permalink. I have to say, you’re probably the only person who preferred DA2 over DAI. But, this was a really good review. Unbiased and on point. Thanks! As I mentioned in my review of DA2, I have terrible taste in everything. Still, glad you liked the review.